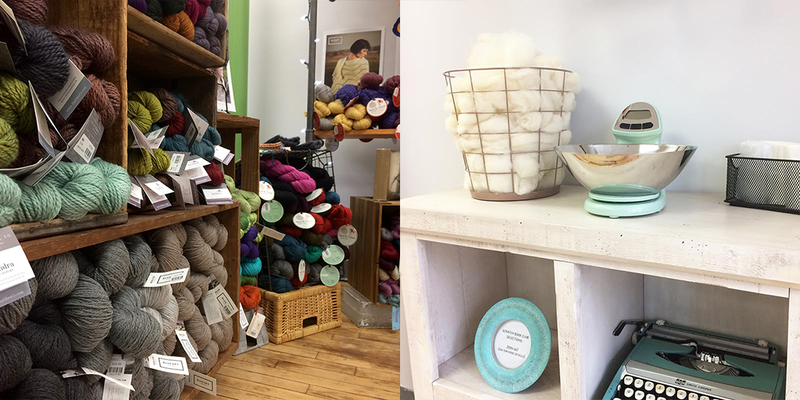 Sponsor: Scratch is an innovative new yarn and craft supply shop located in Lebanon, New Hampshire. 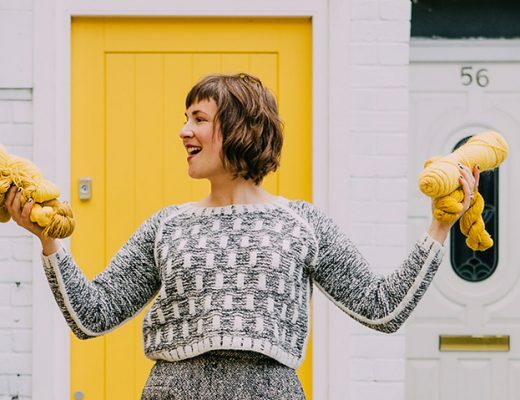 They’re committed to providing a beautifully curated selection of yarns and supplies for knitters, as well as roving, tools, and kits for needle felters. Their shop also features embroidery, sewing, and select fine art supplies. Scratch operates with the guiding notion that makers are curious and creative, and should be able to find exciting, high quality materials to work with all in one place. Scratch is also home to the areas only handcraft focused makerspace–home to a sewing bar, multiple looms, common workspace, a tool library, and more! 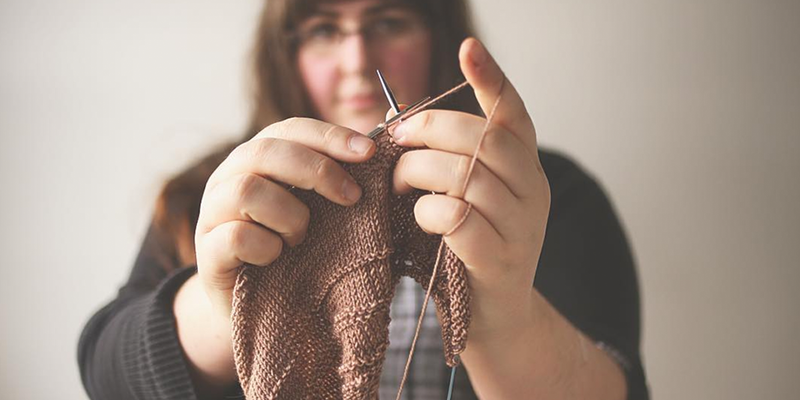 Explore their full schedule of classes, and weekly Craft Night focused on building the creative community in the Upper Valley. Fiber folk: Sylvia McFadden has a gift…evoking grace, calm and desire by combining wool, imagination and a keen eye for color and composition. I’ve been a big fan of Sylvia’s work for some time and am enamored by her designs and most recent book, Shawl Joy. Her tenacity for life and her various photography and youth based programs gives you a bit more of a glimpse into her life and heart. I hope you enjoy hearing from her as much as I have. You can find Sylvia at softsweaterknits.com and on Instagram @softsweater. Sponsor: Amirisu is a beautiful bilingual knitting print and digital magazine founded by Meri and Tokuko and created in Japan. 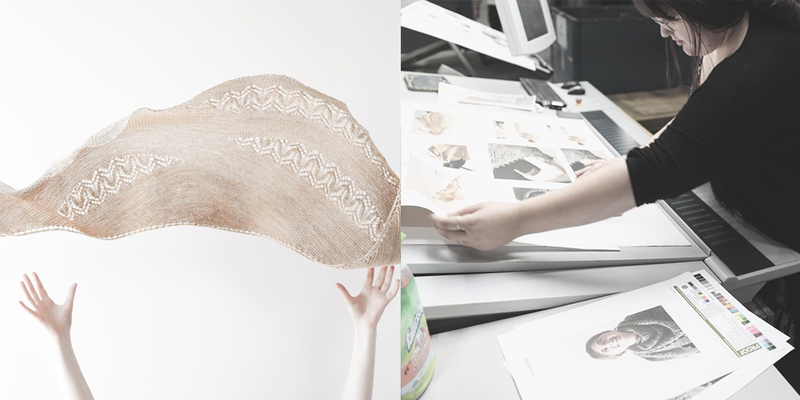 Amirisu plays an vital role in this international fiber community of ours, is a key player in this editorial and inspirational world and one of my favorites. Each issue features patterns in both Japanese and English accompanied by beautifully written articles and photography. 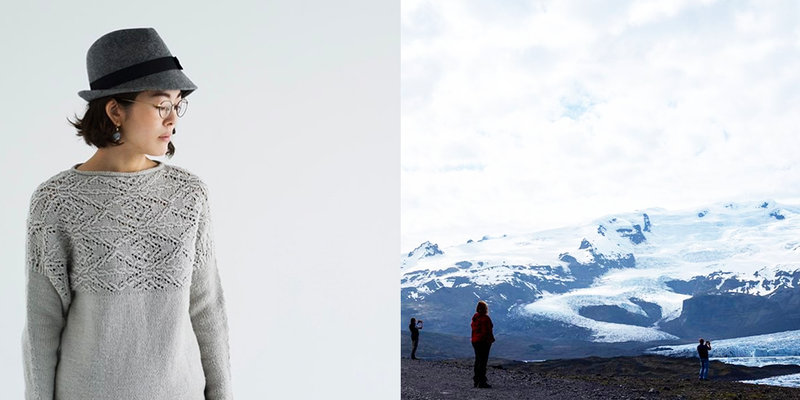 Currently out is the Winter 2017 issue, with Iceland inspired essays, articles and designs from Alice Caetano, Ash Alberg, Bethany Hick, Courtney Cederholm, Enjolina Campbell, Fiona Alice, Melynda Bernardi and Rie.You can find this and past issues, along with Japanese knitting and sewing books, Tulip Needles and other notions in the Amirisu shop at amirisu.com and a selection of local yarn shops. And make sure to follow Amirisu on Instagram @amirisushop to keep up with all the going ons. Giveaway: The winner of last weeks giveaway is Morgen Daily. You’ve won a copy of Shannon’s book Long Way on a Little: An Earth Lover’s Companion for Enjoying Meat, Pinching Pennies and Living Deliciously by Shannon Hayes and a subscription to Romi Hills 2016 eBook, ‘7 resizable shawls’. Congratulations! 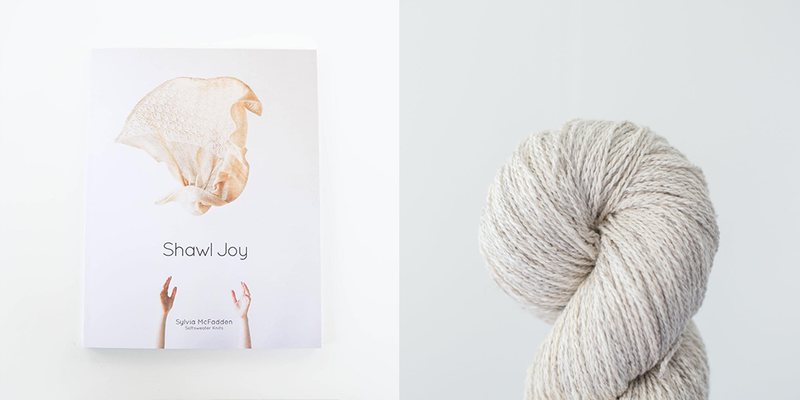 This week’s giveaway is sponsored by Sylvia McFadden and Woolful and we’re giving away a copy of Sylvia’s book Shawl Joy and a skein of Woolful’s Cottage yarn, a 50/50 blend of Cormo and Organic Cotton, to three lucky winners. To enter, leave a comment on this post. I’m so glad I found this space. Thank you. Woolful’s Cottage Yarn looks fabulous. Love the natural colours in the skein and the transitional weight with cotton being added. I’ll be adding it to my wish list for sure! I’m really glad I found your RSS feed and have been visiting so many of your links on previous episodes. Thanks for all you do! Absolutely amazing episode! I adore Sylvia’s shawls! I’ve been following her on Instagram for the last year and learned so much! A great podcast. So interesting to get to know Sylvia a little bit better. Woolful keeps me sane on a long commute. And this talk with Sylvia is so great! Thank you for the chance to win. I absolutely love the woolful podcast as well as Sylvia’s designs. Her shawls are always a favorite of mine to knit! Such beautiful shawls! Thank you for the introduction to Sylvia. I can’t wait to listen to the episode. Nice! Great story. Looking forward to more books! Vacation day today from work ( mental health day really) but I so enjoyed listening to this podcast. So many parts of this talk I felt were directed toward me. Either I took them as a wake up call or as gentle encouragement. I too can have the life I dream about…. thank you. Always nice to hear a fellow Canadian on the podcast. I’d love to knit one of her shawls, especially to improve both my chart reading and kibitzing short rows! I adore Sylvia MCFadden’s shawls. It’s wonderful getting to know her better. I’m making the Waiting for Rain shawl right now! 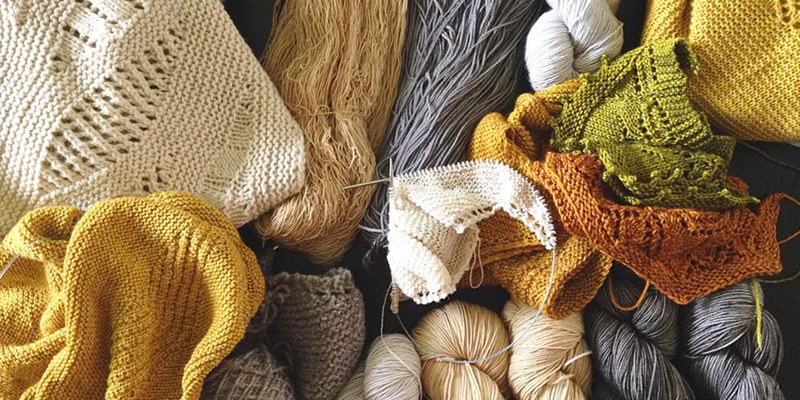 I love Sylvia’s patterns and can’t wait to make all the shawls in the Shawl Joy book! Anyone who waits for rain alongside me is a kindred spirit! Enjoying the podcast so much and grateful for another fabulous giveaway!! Wonderful episode. And the Woolful yarn looks yummy! Just listened to the episode this afternoon. 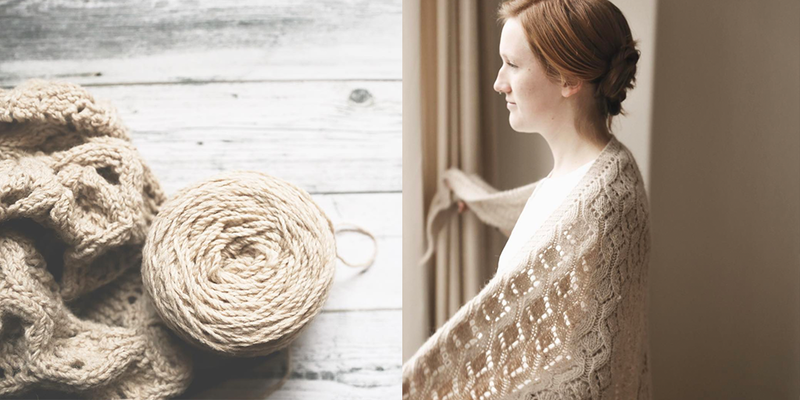 I’ve never knit a shawl, the book looks great! Loved this episode, Sylvia seems so lovely and inspiring. It was a pleasure to read this article. These designers are so talented! This was wonderful to listen to. I appreciate the care that goes into crafting these episodes. Interesting story and wonderful designs. I’m not a shalw-knitter but I want to make every one in the book! Loved the podcast. Thank you so much! I really loved this episode and what Sylvia had to say about your insecurities being your strengths! I resonate so deeply with that and wish I had made that connection years ago! Great episode… I’m glad she is still giving back to other young people. Thank you so much for this giveaway. The book looks soooo good. The yarn looks amazing too! Blessings! 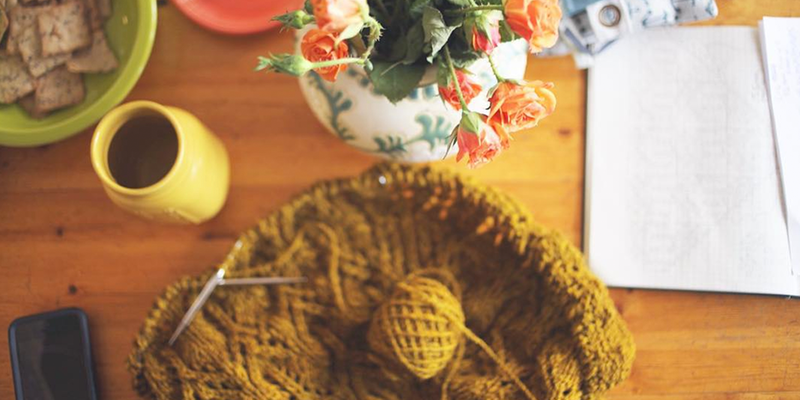 Oooooh this looks so dreamy and Sylvia is a shawl knitter after my own heart. Knit big or go home! All the shawls in that book really are shawl joy! Sylvia’s podcast, The Knitter Punks, always brought such a smile to my face. Her patterns are stunning and it has been so lovely to learn more about her and her journey. I’m a fan of Sylvia’s work and loved to hear about her way to design. I can relate , as I am also not a mathematical person.. I got to have a look through Sylvia’s shawl book while in the Beehive Wool Shop in Victoria a couple of weeks ago – it looks gorgeous! 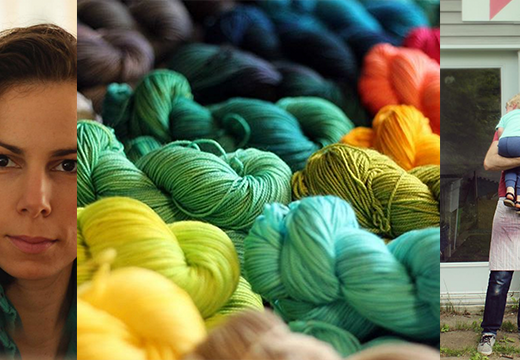 Love listening to Woolful and your commitment to supporting sustainable yarns. Thank you! Wonderful interview with Sylvia, thank you. So very inspiring. Another great giveaway. Crossing my fingers! I have several of Sylvia’s shawls in my queue. Thank you for sharing her wonderful story. I loved to hear Sylvia’s story. I loved how she learned how to knit from a person that she was mentoring. She gave that individual the ability to share a part of herself with her. Beautiful person and beautiful designs. Thank you for sharing this with the whole fiber community. Wonderful episode! I love that Sylvia wears many hats, a woman of many passions! I think we sometimes think to be “legit” we have to have only one great interest or passion and make it our everything, but I think having more then one can bring balance and fuel the fire. Also, such amazing wisdom- what you are most insecure about is probably your greatest strength. I’ll be sitting with that pearl for awhile. Thank you! Lovely episode, as always! There’s something so satisfying about knitting shawls. Thank you for introducing me to Sylvia and her wonderful designs. Finally got back to listening to Woolful podcasts and I’m so happy to have jumped back in on this one. The book that’s Sylvia has made looks gorgeous but hearing the story behind the creation made it even more so. Shawls definitely give me joy too! I’ve knitted more of them than anything else. The book looks gorgeous! I love all the designs in Shawl Joy, but have wanted to make Waiting for Rain from the first second I saw it! I’m so glad I discovered your podcast, thanks again! Ahhh….Sylvia is a spark, an individual, so real. I loved hearing her speak. Thank you. I’m excited to check out her book! Very wise and encouraging words, and a life story deserving of great respect. Thanks! I loved listening to Sylvia and her story! On of her patterns is our most popular beginner project at the shop where I work. It was really nice to put a personality with the pattern! Thanks for this and all your podcasts, they have become the highlight to most of my weeks! Love listening to these podcasts while I am running. Thank you for posting! Thanks for the podcasts. I’m reposting this because I typed the wrong email address on first one. These shawls are so beautiful. Sylvia, I loved hearing more about the behind the scenes with your first book. So inspiring! Really enjoyed this podcast. Love love love Sylvia’s shawls! Love this!!! My husband is a principal of an alternative school and he listened too. Lovely interview. Sylvia’s sunlight shawl was the first shawl I knitted. And the designs on her new book are gorgeous. Thank you for introducing me to Sylvia and her patterns. I love them! I’m excited to get started on one very soon! What an inspiring story, thank you for sharing! I loved her waiting for rain pattern but didn’t know she came out with a book. I will definitely have to check it out. Delightful to meet Sylvia, such an inspiring, positive person! I so appreciate how welcoming, inclusive and diverse the fibre community is and how every member enriches and inspires the creative spirit in us all. I love Sylvia’s approach to design and knitting, and her wisdom that by accepting our perceived weaknesses is actually what makes us strong and unique. Thanks for the boost! This episode really got me thinking about trends. Analytics wasn’t something I had ever thought about in regards to fibre arts before. Really enjoyed the listen. Thank you. 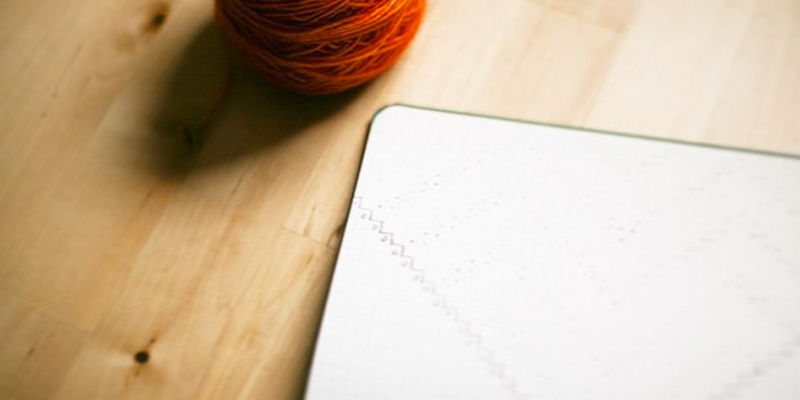 Loved hearing about your (Sylvia’s) journey into knitting. while listening to the podcast i started thinking about my favorite shawl, waiting for rain, which I lost in Italy. Five minutes later I heard you mention waiting for rain and i realized i was listening to the designer! Serendipity or meant to be! What a wonderful story- resilience and following your own path- very inspiring. Thank you for your podcast. I’ve always admired the woolful yarn – it looks lovely! Enjoyed this episode with Sylvia and cannot wait to start one of her shawls. She had me at “alternative knitter”. Great interview! I’ve really liked her designs for awhile, great to hear the personality behind them! Great interview! It was great to hear about Sylvia’s process as a designer! Thank you so much for interviewing Sylvia! I loved hearing her fiber story and process. Sylvia has been one of the designers I have watched for a few years. Her style is definitely different and refreshing. I’m so glad she is coming to light on the popular page, because her designs stand out and I think will push others to step out of their box! I have had the fossil and bone shawl pattern for a while, with the imperial yarn in natural read to knit up when ever I am brave enough! Eek this makes me excited. How lovely of a giveaway!!! I’ve been in love with this shawl collection since it came out!! Thank you ladies! Your podcast will be my Friday afternoon treat to accompany my knitting with tea. Thank you! What a pleasure to listen to this new (to me!) 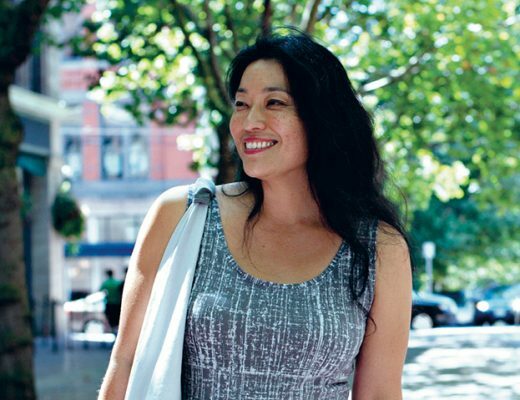 voice: inspiring and very much unique in both her own journey and wisdom. Thanks for another fine episode! Really enjoyed this success story! Way to go Sylvia for carving out this life for yourself. 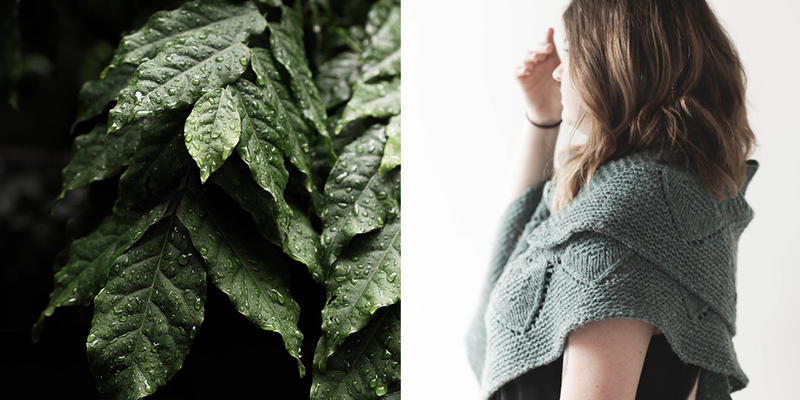 The “Water” shawl is now on my must-knit list. Really loved hearing Sylvia’s story! Thanks for another lovely episode! Time passes by so quickly while listening and knitting. Thanks to you my trainride felt like short pause from the hectic day! Oh i love waiting for rain! Beautiful shawls and wonderful podcast. Thank you for sharing! Love Softsweaterknits designs. They are so beautiful and flowing. I’d be thrilled to win her book! Enjoyed hearing Sylvia’s story. Love her designs. Thanks for sharing. I feel so fortunate to have found this podcast! I’m looking forward to making some of these shawls! Another wonderful episode. I always look forward to them and listening to Sylvia was inspiring. Thank you! lovely. I so look forward to new podcasts. Thank you so much for doing them. Wonderful podcast & lovely yarn. I love seeing my home state of NH in the listings for this recent podcast!!! Thank you for sharing Sylvia’s story! I very much enjoyed this episode. I love how Sylvia emphasized our insecurities are often out greatest strengths. It’s such a refreshing reminder that there are so many different ways to do things and whoever you are, embrace yourself! Really enjoyed hearing Sylvia’s story! Enjoyed this story! congrats Sylvia!! I have a difficult time reading charts!! Thank you very much for the podcast. This was very inspirational. Thanks for this episode, Ashley (and Sylvia). I’m not on social media anymore, so your podcast is a genuine tool of mine for discovery + inspiration about who + what is out there. It’s one thing to keep abreast of fiber books being published, but to hear the voices and backstory is such a gift! I found this episode immensely inspiring. Happy February! Sylvia’s thoughts about strengths and weaknesses is inspiring. Thank you for introducing us to this amazing young woman. I was one of those who fell head over heels in love with Waiting for Rain and knit one with Sweet Fibre yarn – gifted to my Mom. Loved hearing about Sylvia’s journey – thank you again, Ashley! Wonderful episode! I enjoyed hearing the behind the scenes story of Sylvia’s shawl designs and book. Thanks for the chance to win her book. Just love every single podcast. Another great story. Great to hear such an open, fearless account of Sylvia’s life and design path! So positive and uplifting. Thanks! Love Sylvia patterns! Thanks for the chance to win the book! Another really wonderful episode. I have not come across Sylvia’s work before. Thank you for introducing me to this intuitive designer. I love reading charts, instead I find difficult to read instructions for lace. Thank you for another nice podcast! Great story. I saw a picture on Instagram of one of the shawls tossed in the air-I need to wear more shawls and knit this one to begin the trend in my wardrobe. I love your podcast and hearing about the lives of the fiber folk you interview. I looked over Sylvia’s work and I am really interested in trying out 1 or 2 of her rain series of shawls. Very unique! An awesome interview! Sylvia’s soul and enthusiasm are precious, so creative! I’ve had a couple of her shawls in “my favorites” Ashley what you do for us knitters in terms of creating the personal connection between designer and knitter is so gratifying. An inspiration as always! I love other young people with so much passion and drive! I really enjoyed this interview. The photographing of the shawls as they are thrown into the air is great!!! dear ashley, i’ve probably said this before, but this really was my favorite episode! Loved hearing Sylvia’s story. Great episode! What a great story, so glad things worked out so well for Sylvia. Love her designs! What a great story, so glad things worked out so well for Sylvia. Love her designs! Would love her book! Loved hearing Sylvia’s honesty and openness about her life and journey! Thank you! What an especially great interview! Thank you! I loved hearing Sylvia about how she’s got to where she is now and how she published her first book all by herself. So impressive! I have been an admiror for so long! Looking forward to what’s coming up next with her. And of course, thank you for the chance to win her book. It’s been on my wish list since it came out. Yes! Me too, I spend a lot of time on Ravelry, and I appreciate that Sylvia is so accurate in her research. Thank you for another very pleasant episode. I enjoy your podcasts very much so cool to photograph while tossing the shawls. Thank you so much for sharing this story. It was touching and full of strength. Very nice to get to know Sylvia better and to be able to listen and learn from these great podcasts!! Love Sylvia’s shawl designs and the book looks awesome, so love to participate in the give away. Have a nice day, both of you! Great episode. I am getting into shawl knitting. I have a great lace one (also my first lace project) nearly done, but I am running out of yarn. The yarn I chose was a hand dyed hand spun that was one of a kind. I have another skein from the same spinner that would be a nice color complement to make the final edge, but it is a lot thinner. I’m trying to decide if I should hold 2 strands together so it will make a similar weight or attempt to ply it. I don’t want to lose the definition of the lace on the final few rows and also don’t want the triangle shawl to turn out misshapen. Does anyone who successfully uses different yarns in projects have suggestions? Great interview! I led a Waiting for Rain KAL in my LYS–it’seems one of my favorite recent knits from last year! Thanks for another great episode and the giveaway! I’m late to the shawl party, only made one so far, but would love to make more. So pretty and great to snuggle up around my necks and shoulders. Lovely interview. I had to go look at the shawls, they are beautiful! Fantastic. 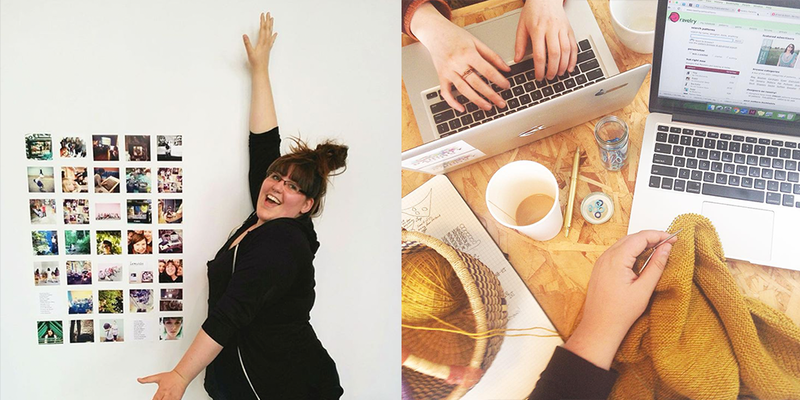 My favourite times – spinning and listening to Woolful’s podcast. Great episode. Really inspiring. Can’t wait to explore her shawls. Sylvia was inspiring to listen to, I have heard a couple of interviews with her now and each time i have really enjoyed hearing her talk about a creative life. Woolful is a new to me podcast as well and one I will add to my favourites list. Thanks for a great episode! 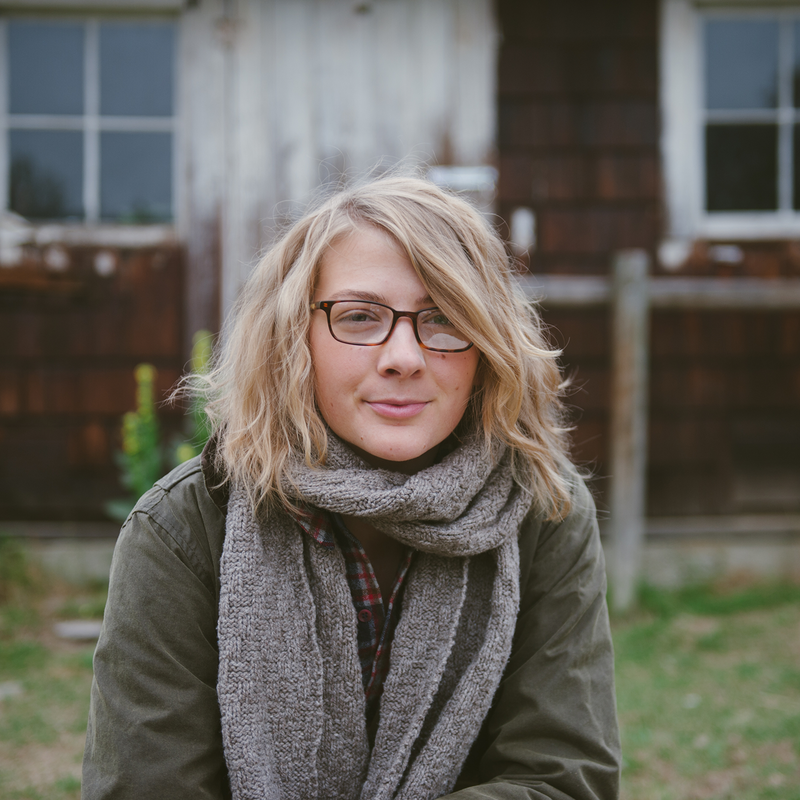 It was really inspiring hearing about the unconventional life Sylivia has found for herself. Her designs are totally beautiful too and so interesting. I’d love to win a copy of her book if the giveaway is still open! Thanks for the terrific podcast and lovely giveaways. Syilvia’s shawls are beautiful and they reflect her attitude and giving nature. What a wonderful human being! I was winding yarn for a Waiting For Rain shawl while listening to this episode, only to find out I’m listening to the designer. What a wonderful coincidence! Inspired again. Thank you for bringing another great story. Great episode, I find Sylvia so inspiring! Lovely episode! One of my favorites! I enjoyed listening to this podcast and learning more about Sylvia. I also work with kids who have had lots of difficulty in their young lives, so I find Sylvia’s experiences to be so meaningful and inspiring! Congratulations to you for following your own path and and for being a mentor to others. I just love your podcast! I’m contemplating dipping my toe into shawl knitting and I would be thrilled to win this prize! Maryklute on ravelry. Such an inspiring episode, thank you! Thank you Ahsley for such a lovely episode, anfor introducing us to Sylvia; her story and her journey are truly inspiring and prove how important self-esteem and friendship are to overcoming whatever life throws at us. 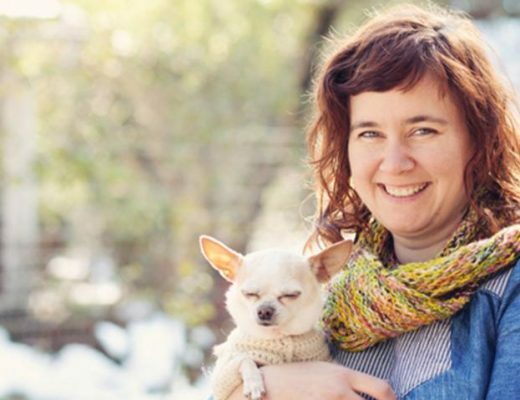 Thank you, Ashley, for bringing another great backstory about people in the fiber industry. Also, I find the Cormo.Cotton blend very intriguing. Another lovely podcast! 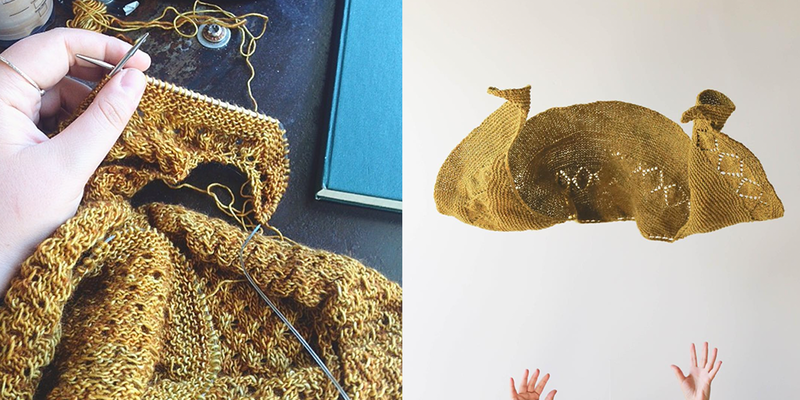 I have so enjoyed getting to know the interesting variety of fiber artists you feature in your podcasts and Sylvia was no exception. They have all broadened my love for knitting and given me a greater appreciation for the fibers used. Thank you for consistently producing such a great podcast. Thanks for another inspiring podcast and being introduced to a wonderful designer. This podcast is amazing, and these shawls are gorgeous! I do feel joyful when I look at Sylvia’s shawls! I love Sylvia’s designs-great episode! This was such a captivating interview. What i loved was learning the story behind Sylvia’s designs and how she came into her own as a designer. She has some great insights. It was so nice to hear the story behind the shawls I have been wanting to knit! Great to hear about the fibre community in Vancouver too. Thanks Sylvia and Ashley! Just love your podcasts! I listen to them while at work doing mundane financial stuff! What a treat to meet Sylvia – she’s adorable! Great podcast! I appreciated Syvia’s advice at the end. So inspirational! I’m a long time listener, but first time commenter. I enjoyed hearing about Sylvia’s journey and the work she does with “at risk” youth in the creative fields, how empowering! Empowerment is what first made me a maker. I so enjoyed this podcast! It was refreshing to hear from a real person who’d been through the wringer and come out – and is doing so much good, in addition to so many beautiful things!! Thank you! Looks like a beautiful book! I enjoyed the interview. Really amazing to meet the face behind SoftSweaterKnits. 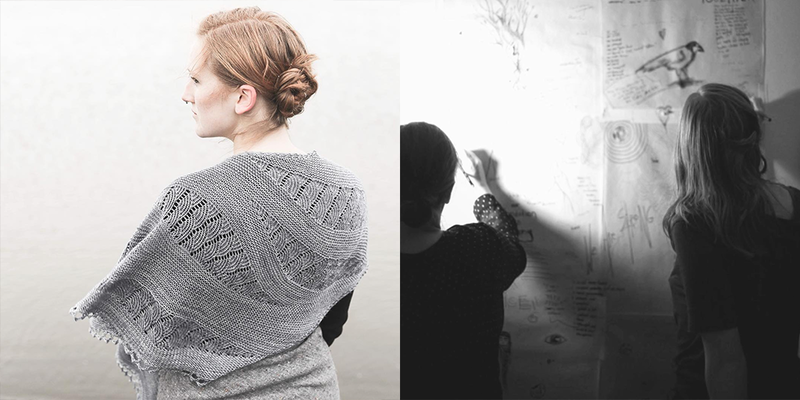 I have always wanted to knit the Waiting for Rain Shawl. I found this amazing podcast via sloomb fan chat. Thank you! What a lovely collection of shawls! I always get so excited when a new episode of this podcast hits iTunes! I’m knitting my first shawl right now, so the giveaway book really excites me. What a truly wonderful conversation to listen to. I am so inspired by Sylvia’s story. Thank you so much for sharing it. And I love her designs. They are so beautiful. Thank you both for this opportunity and conversation. Such a wonderfully positive story. In shawl mode! Thanks as always for the inspiration. Love this episode. More more more. Please. Lovely as always, inspiring and beautiful! Thank you!! Thanks for another interesting podcast. It’s nice to hear about people living the dream. I found Sylvia quite charming! And I liked that she was complimentary to us knitters of a grandmotherly age. Now to happily check out her designs. This was definitely one of my favorite episodes. So many of the points that were brought up were so refreshing to hear, especially the discussion about self-esteem. Loving your beautiful shawls Sylvia and also loving the incredible, diverse group of fiber folk you have interviewed Ashley!! Thank you, Sylvia for sharing details of your life, what’s been a struggle and how you’ve evolved and found your own place in the now. Your story is inspiring, especially being able to express experiencing feelings of vulnerabilities; your story resonates with me. Best wishes and thanks to Woolful!